The Las Vegas Rugby Academy U-12 & U-10 teams traveled to Scottsdale Arizona December 2, 2017 to compete in the first full contact tournament of the season. This is a fine group of young players who are very well coached and their hard work and dedication was on full display over the weekend. The U-10 team finished the tournament with a perfect 3-0 record to claim 1st place in their division. The U-12 matched that same effort and also walked away with a perfect 4-0 record to also take 1st place in their division. Fantastic start to the 2017-18 season for this young crew. We look forward to see a lot more results like this throughout the season. 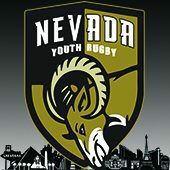 Congratulation to the Las Vegas Rugby Academy, Coaches, and Parents!